Since you’re on an island, it’s easy to guess that you can practice many water sports when you visit Madeira. The southern coast’s calmer sea ensures best beaches, with best access to the ocean, low swell and constant wind force: Perfect for windsurfing. If you want to, you can even try to beat João Rodrigues’ record: he travelled 296 km in the Atlantic in 10 hours. He got off the island of Madeira and arrived at Deserta Grande. But if you have no experience, it is not advisable to try and repeat this achievement! It ‘s easier to visit one of the many fantastic places starting in the southern slope, where you’ll find beaches with better access. 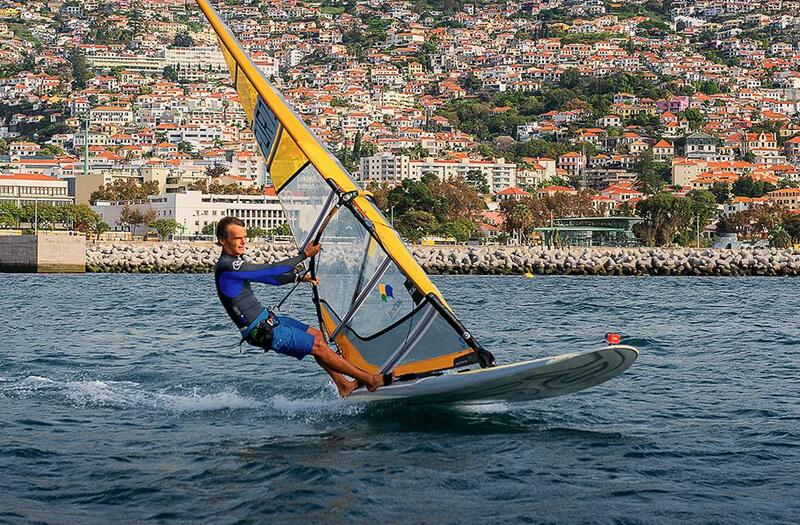 Funchal, Achadas da Cruz, Caniço, Santa Cruz, Machico, Caniçal, Paúl do Mar and Porto Santo are some of the best locations for windsurfing throughout the year. You can also try kitesurfing in Funchal Bay, in Praia Formosa and Porto Santo. Whatever your choice may be, there is always a wave waiting for you.